While we have seen a lot of beautiful summer, autumn, and winter brides, there is still a high demand for spring weddings are our premier wedding venue. Professional event planning for a major milestone, such as a wedding ceremony or wedding reception in Swansea, MA can take time to achieve, especially if there is a lot of work to get done. Spring is one of the most popular times of year for brides all over the world. Perhaps it is the fresh flowers, warm breezes, and renewal of the season that attracts couples, but whatever it is that has prompted you to plan a spring wedding you need to know that you are not alone. Make sure to give yourself some time if you want a Swansea wedding reception in the spring. Some couples like to give themselves at least a year to plan. Part of the reason for this is that they want to make sure they have time to put all of the pieces together to create a memorable event. Another reason is that it can be difficult to get the best premier wedding venue on short notice, so in many cases, a year or more in advance is required to get what you want. This is especially true if you’re going to plan a spring wedding reception in Swansea, MA. In New England, our winters are harsher than most. Once that snow melts and the sky turns blue, we want to do everything outdoors. Outdoor weddings are popular in the spring and summer, as well as photo opportunities for couples who want to create a beautiful picture for their wedding day. While there are some situations where a quick wedding is required – military service, business relocation, concerns about an elderly loved one not being around much longer, or simply a desire to be married right away – the more time you can give yourself, the easier it will be. That being said, it is still possible to plan a wedding in less than a year as long as you are willing to be flexible. Instead of a nighttime reception where you dance the evening away under the stars, perhaps an early morning ceremony followed by a delightful brunch might be more available. Work with the professional event planning staff at the venue of your choice to plan the details of your Swansea wedding reception. They can provide you with options that can help you to have a memorable celebration at the venue of your choice. Once you have the premier wedding venue nailed down, it’s time to start making all of your other plans. The best advice you could get about planning a wedding reception in Swansea, MA in the spring is to fully embrace the season. Choose spring colors, including traditional pastels, creamy off-white hues, and earthy tones. Splashes of color can be used as accents to help bring your Swansea wedding reception to life. These colors should make their way through the entire reception hall, including decorations for guest tables, the bridal party table, the dance floor, the entrance hall, and even the food service tables. Don’t forget to decorate your guest book and wedding cake tables to incorporate your theme throughout. The wedding food that you choose for your menu should also be seasonal, light and healthy. Work with the staff at the venue to select fresh veggies, fruit salads, and classic New England dishes. You don’t necessarily have to pick seafood, but if you do, Venus de Milo is the best choice by far for traditional regional fare. Our banquet menu includes displays for a cocktail reception, including New England, Mediterranean, and Tuscan cuisine. Our deluxe dinner options include our famous Venus Chicken de Milo, signature lobster dishes, and a wide range of banquet and buffet enhancement options. We have five elegant ballroom spaces at Venus de Milo, along with sites for both indoor and outdoor ceremonies. We also have beautiful bridal rooms, talented culinary professionals, and the most experienced wait staff in the region. Our goal is to spoil you and your guests with top-notch services for your wedding reception in Swansea, MA. This is why couples from all over Southeastern Massachusetts, Cape Cod, Rhode Island and all over the northeastern area come to Venus de Milo to celebrate at our premier wedding venue. We work hard to ensure that every wedding event that we host combines all of the elegance, quality, service, and value that our clients have come to expect from The Venus. If you are interested in planning your spring, summer, autumn, or winter wedding at our venue, make sure to give us a call. Whether planning in advance or if you need a space on short notice, our staff can provide you with solutions that are designed to please. Call today at 508-678-3901 and take a tour of our facility. Come see for yourself why so many couples insist on professional event planning at the world-famous Venus de Milo for their wedding day. 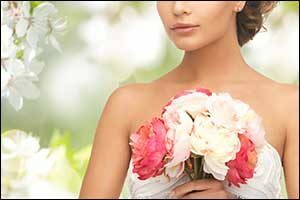 Our greatest success is that a majority of our brides come to us through referrals made by past Venus brides. We take pride in being able to accommodate so many couples each year on the most significant day of their lives.